I have typed some of my tajweed notes on makharij for the purpose of revision inshAllah. Alhamdulillah our beautiful teacher has started doing videos on tajweed. I have shared some of the videos here with relevant notes. Hope this helps us all inshaAllah. 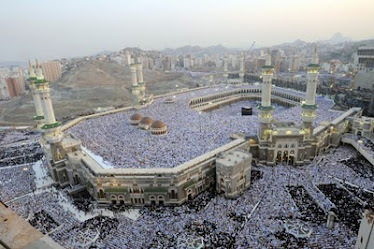 Makharij means articulation point i.e the place where the letters exit from. Letters are called huruf in arabic. Harf is the singular form of the word huruf. There are five different exit points (makharij). Waaw ( و ) preceded by a dammah. So it needs to be stretched for two counts. There are four letters from the lips. These three letters requires the both lips to meet, even for the letter و we must round both lips. Makhraj: It is pronounced when the wet portion of the two lips meet and separate. Makhraj: It is pronounced when the dry portions of the two lips meet. Makhraj: It is pronounced by rounding the lips without the two lips meeting completely. To pronounce it we use the bottom lip. It is pronounced by putting the wet portion of the bottom lip on the edge of the upper incisor teeth and pushing air between them. There are 6 letters pronounced from the throat. Makhraj: It is pronounced from the deepest part of the throat. Makhraj: It is pronounced from the middle of the throat. Makhraj: It is pronounced from the top of the throat. Makhraj: It is pronounced when tip of the tongue (Tarful Lisaan) touches the root of the upper incisor sharing the nasal passage. Makhraj: It comes out by closing the two lips (dry portion of the lips meet) and using the nasal passage, softly without pressure. 18 letters are pronounced from four different parts of the tongue. Huroof al-lisaan means the letters of the tongue. There are 18 letters that exit from the tongue which are divided in to four parts mentioned above. It is pronounced when the root of the tongue touches the soft part of the palate. There are three letters which are pronounced from the middle of the tongue. The middle part of the tongue touches the part of the palate which is directly above it. These are two letters which are pronounced from the side of the tongue. Laam originates from the front edge of the tongue touching the back gums of the upper six teeth. Daad comes from the back edge of the tongue connected to the upper molar teeth. 4. No qalqalah, sound needs to stay inside. There are 11 letters pronounced from the tip of the tongue. Letters below are articulated from the top part of the tip of the tongue, touching the roots of the upper incisors. These three letters are articulated from between the tip of the tongue and the plates of the upper and lower incisors. This leaves a small gap between the tongue and the incisors (hence the whistle sound). This letter is articulated from the tip of the tongue touching the roots of the upper incisors. 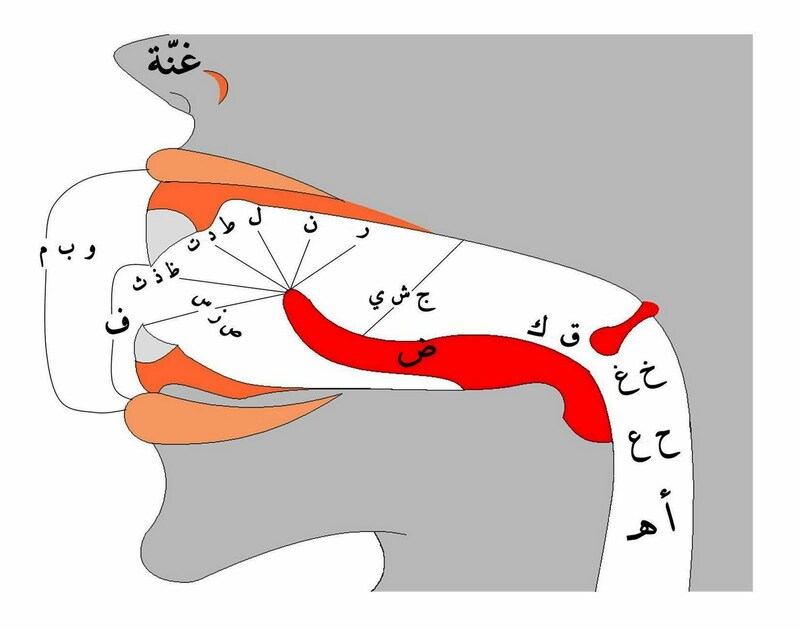 In Al-khayshum, we have learnt Ghunnah (nasal sound) is the sound we make for the letter but it is pronounced using the tongue. Makhraj: it is pronounced when the tip of the tongue including the back touches the gums of the upper incisor. We must very slightly roll the tongue. It can be heavy or light letter. It is pronounced heavy, due to a fatha or dhamma. With a kasra, it is pronounced light. These letters are pronounced when the top of the tip of the tongue touches the bottom edges of the top incisors. Part of the tongue will stick out. And one of my favourites is by Ustadh Wissam Shariff the Quran Revolution videos .